CONTAINING JOHN DOHERTY'S SUBJECTIVE views on each of the 348 men to the end of season 2004-05 who have played for the club at senior level since the war, The Insider's Guide To Manchester United is the definitive Manchester United players' guide. 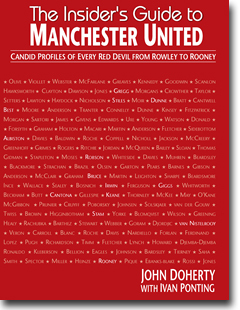 Documenting every player to have appeared for the Red Devils since the war, Doherty (an original Busby Babe and chairman of the United Old Boys committee) candidly reveals the strengths, weaknesses and his personal memories of United's finest. Doherty is one of that elite band, the original Busby Babes. Born in Manchester, he joined United straight from school and rose through the ranks alongside the likes of Duncan Edwards and Bobby Charlton. A creative, goal-scoring inside-forward, he reached the first team, won a League Championship medal in 1955/56, but then saw his career shattered by a knee injury before he had reached his prime. In one sense he was lucky, having left Old Trafford shortly before the Munich air disaster. John has studied United intently all his life, and there is nobody on the scene who matches him for his acute and pithy judgements on Red Devils past and present. Indeed, he is the only surviving Old Trafford insider who has scrutinised every United player for the last half-century. THE INSIDER'S GUIDE TO MANCHESTER UNITED provides an in-depth look at both the significant and fleeting careers that have graced Manchester United. 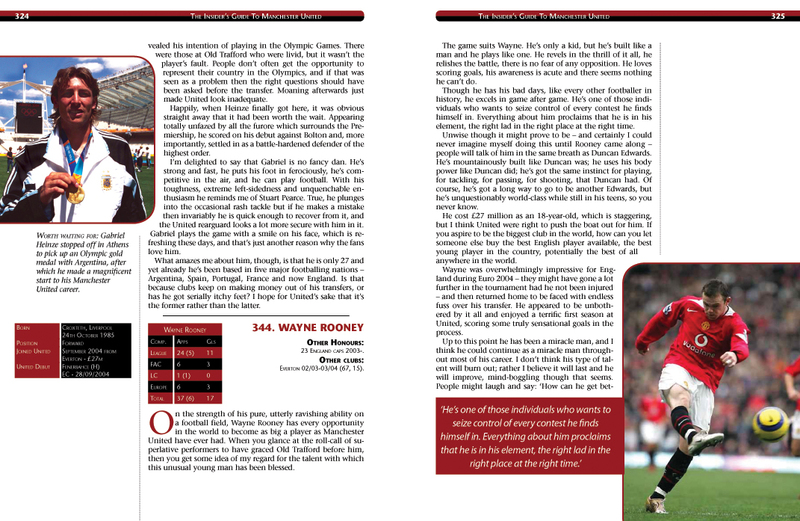 Alongside Ivan Ponting's comprehensive statistical analysis for each player, the entries will appear in debut order, offering an alternative chronology of the club while Doherty's comments will offer a former professional's view of the players involved. IVAN PONTING is an experienced journalist who has written more than two dozen books on football, including Manchester United Player By Player, The Essential History of Manchester United, and Red And Raw, a post-war history of United v Liverpool confrontations. 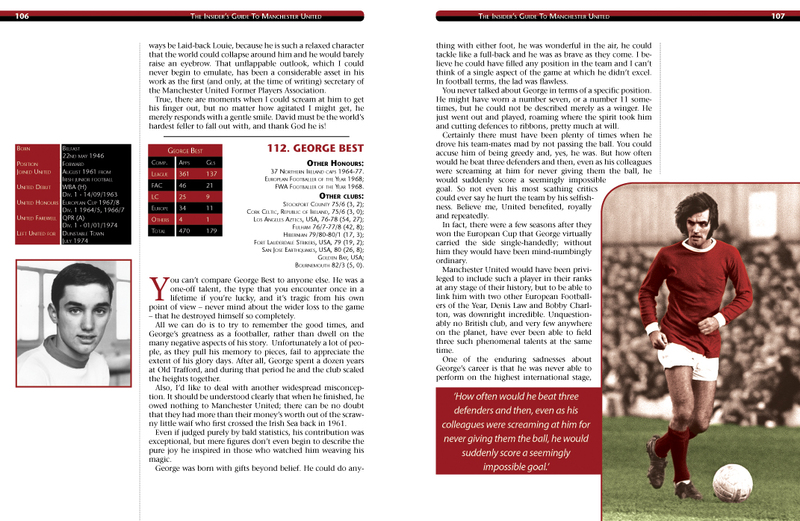 For four years he supplied the match reports and player profiles for the Manchester United Yearbook; he has contributed hundreds of features and interviews to the club's matchday programme, and writes for Legends, the magazine of the Former Players Association, he is also The Independent newspaper's chief football obituary writer.